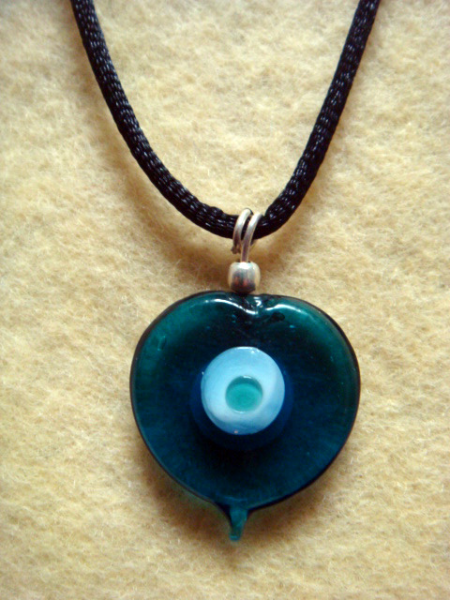 In Arabic, the blue eye charms are called the "ayin hasad " (eye of envy). 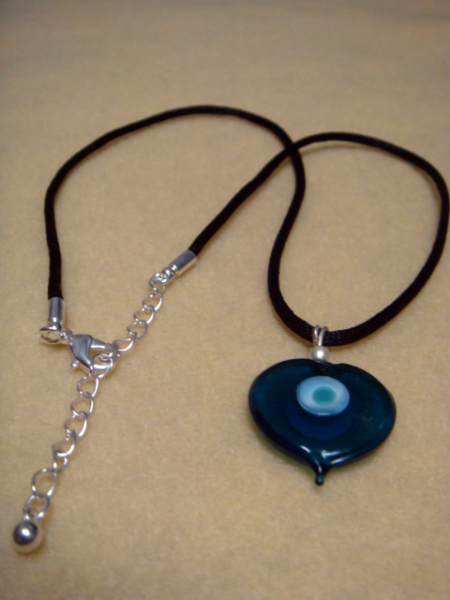 They are reflective, since the blue bounces the evil eye back to the sender. A jinni (female - jinniyah or plural - jinn) is a spirit or demon endowed with supernatural power. They are quite common in Arabic and Islamic folklore and this necklace will try to help keep you safe against those that try to cause you harm. 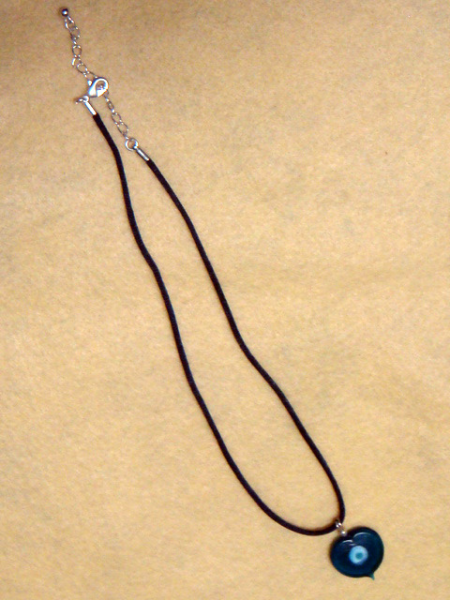 The bead is attached to a satin black cord that is 18 ½ inches long and can be worn as a 8 or 10 inch depending on where you fasten the chain to the lobster claw closure at the end. Please let me know when you make your purchase if you’d like a black cord chain or a brown cord chain.